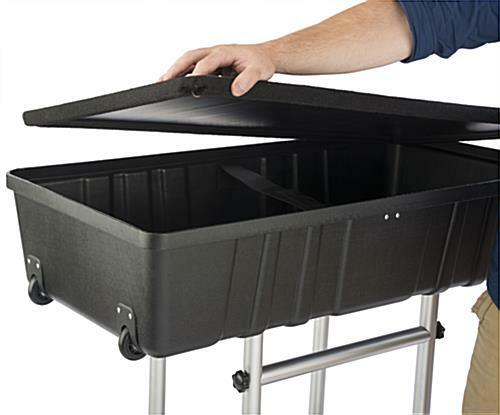 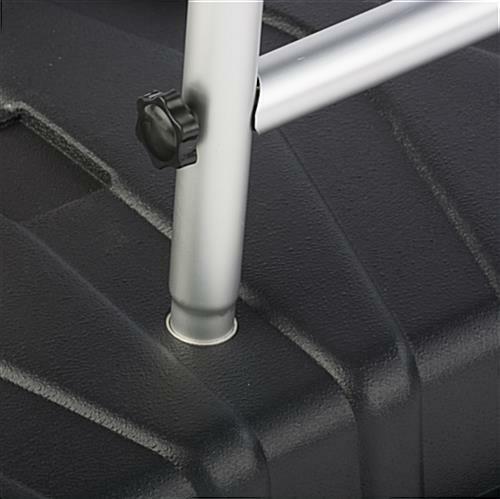 This portable counter and custom stretch cover includes a lightweight travel case with wheels, plenty of storage space, and is very easy to assemble. 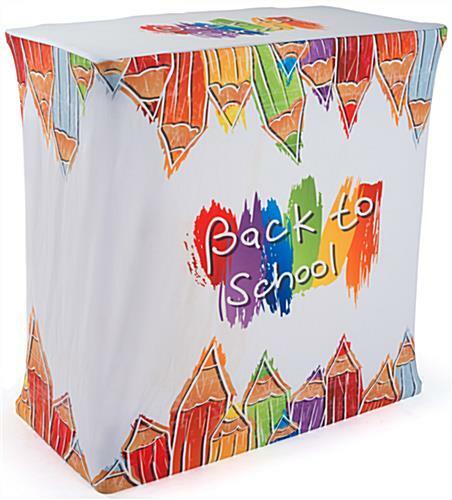 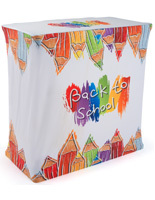 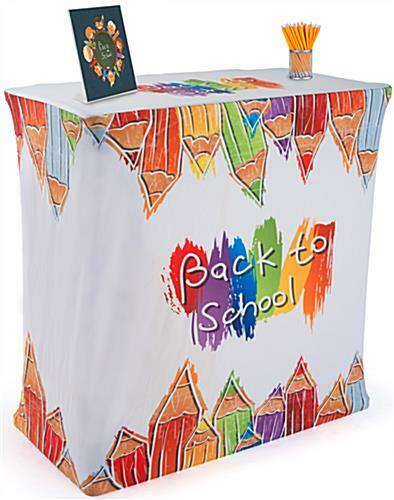 An optional personalized stretchable table cloth with graphics is available for branding. 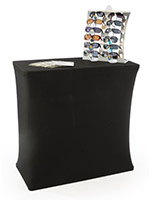 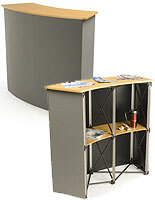 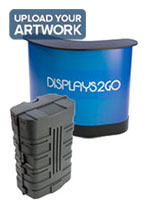 The lightweight portable counter for trade show purposes has the ability to keep objects stored in the top compartment and also in the bottom of the booth. 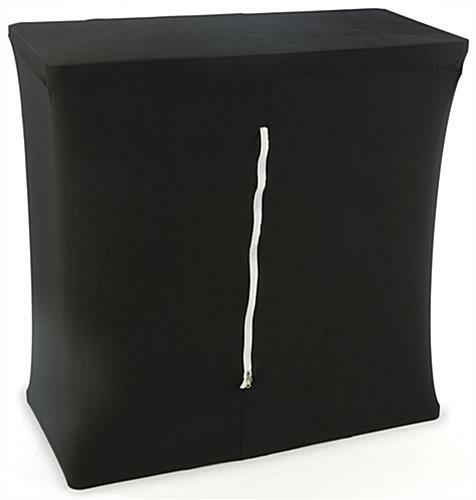 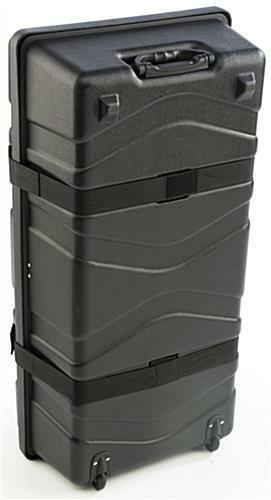 On the back is a zipper to easily access items that are stored in the area. 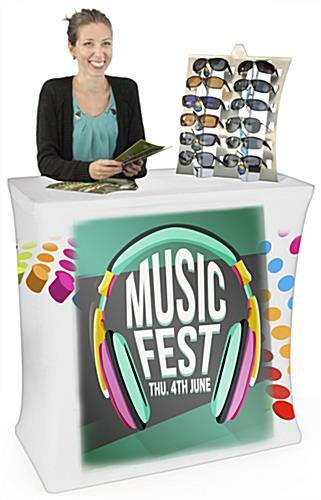 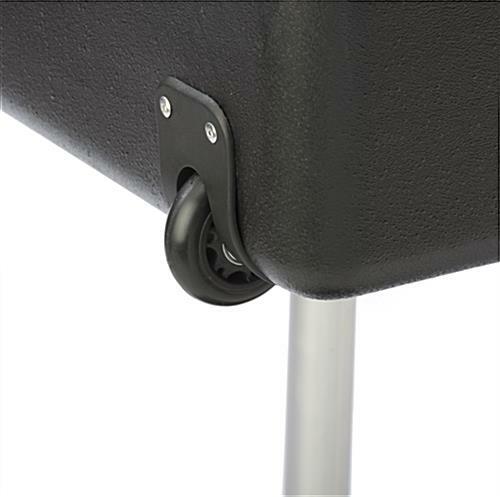 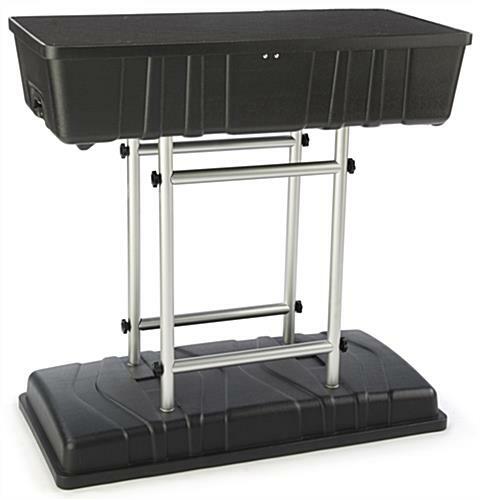 The portable counter can be used at trade shows, but also for music events and presentations where a laptop or tabletop is needed. 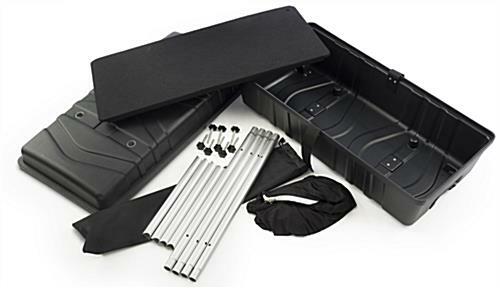 While the case is full of parts for travelling, there is still 3/4 of the casing empty for any other products you may have. 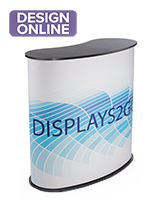 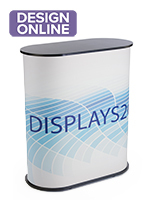 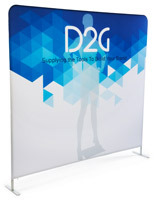 Make your booth stand out with personalized graphics and a sleek stand. 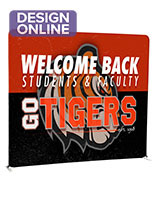 38.4" x 38.5" x 19.3"
38.4" x 5.3" x 19.3"
38.4" x 13.0" x 18.0"